Spanish Wells is becoming even more cruiser friendly. A new restaurant, The Shipyard, has one of the prime locations in The Bahamas—the very east end of Spanish Wells overlooking the water to Gun Point. The restaurant has a full-service bar and excellent food at fair prices. There is also a two-for-one drink special at Happy Hour. The restaurant is usually closed Monday and Tuesday. Spanish Wells Yacht Haven marina is being completely rebuilt with a new restaurant and bar, and guesthouses scheduled to open in December. The marina remains open with good electrical power, water and Internet access at all slips. The docks are scheduled to be rebuilt in early 2015. Call Dockmaster Leroy Kelly on 16 VHF or (242) 333-4255. 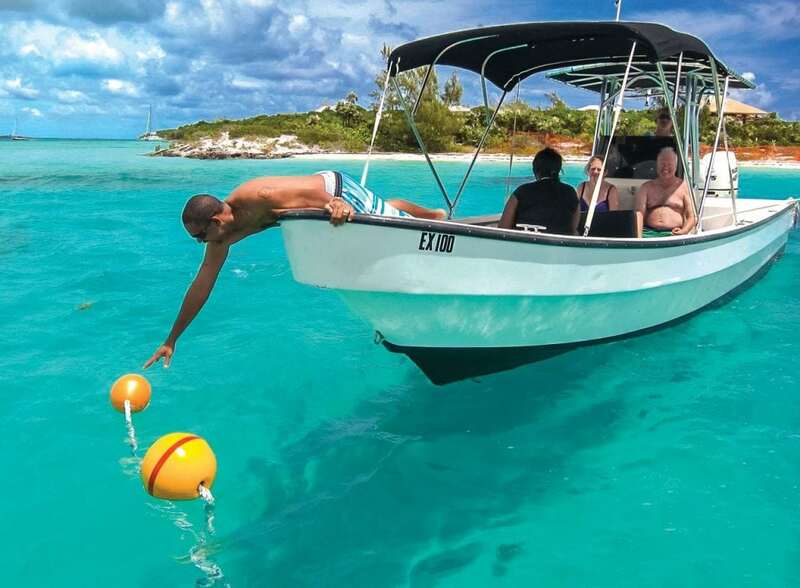 These improvements make North Eleuthera even better as a cruising destination with a variety of places to visit, the peace and quiet of Royal Island, Meek’s Patch, and the anchorage off The Bluff, for example. Spanish Wells offers friendly citizens and full services and supplies, including mechanics, welders and R&B Boatyard (rbboatyard.com). Harbour Island is an easy run—a pilot is still very much advised—and is rightfully called the Nantucket of The Bahamas. It’s not too late to consider celebrating Christmas and New Year’s in The Bahamas. Skip the usual presents and buy plane tickets for the family to join you. The beauty of The Bahamas, the friendship of the Bahamian people and the intimacy of your own boat will draw everyone in. Children from up north will be glad to know that Santa Claus puts pontoons on his sled when he heads for southern waters. Stevie Connett has been sailing in The Bahamas for several decades. For the last ten years Stevie and Barbara Crouchley have been cruising throughout the islands aboard FOXY LADY tagging sea turtles and working with the Education Department of the Bahamas National Trust.